Psych Your Mind: Is it the thought that counts? Now that we are in the midst of the holiday gift-giving season, many of you may be searching for the perfect presents to give friends and family members. Whether braving the busy parking lots at malls or surfing the internet for the latest deals, shoppers are likely putting a lot of time and energy into purchasing gifts that are just right. After all, when it comes to gift-giving, isn’t it the thought that counts? Conventional wisdom tells us that how much a gift is liked or appreciated is based not just on the gift’s objective quality, but also (and more) on how much thought the gift-giver put into choosing it. If that’s the case, then, you need not worry about getting the “perfect” gift. Your gift will be appreciated and valued for the thought behind it, right? Not exactly. According to researchers Zhang and Epley, the thought only counts (i.e., enhances appreciation for and liking of a gift) under certain conditions. In one study, when participants recalled times they received a gift they liked, the amount of thought they believed their givers used was not correlated with their evaluations of the gift. In other words, the thought didn’t count. However, when participants recalled times they received a gift they didn’t like, the amount of thought they believed their givers used was positively correlated with evaluations of the gift. Here, the thought did count. Presumably, this is because disliked gifts trigger thoughts about the givers’ thoughts, like “what was he thinking when he bought me this?” The researchers propose that thinking about givers’ thoughts helps receivers link thoughtfulness to actual evaluations (i.e., makes thoughts count). As another test of this hypothesis, the researchers asked participants in a different study to explicitly rate a giver’s thoughtfulness either before or after they were asked to evaluate the quality of a gift. When people considered givers’ thoughts before evaluating gifts, the perceived thoughtfulness of the givers did correlate with the receivers’ evaluations (i.e., thoughts counted). When people considered givers’ thoughts after evaluating gifts, the perceived thoughtfulness of the givers did not correlate with the receivers’ evaluations (i.e., thoughts didn’t count). If all of this thinking about other people thinking about other people thinking is making you confused, the bottom line is this: givers’ thoughts don’t count unless receivers are triggered to think about them when evaluating gifts. This trigger could occur implicitly, like when people receive disliked gifts, or explicitly, like when people are asked to think about givers' thoughts. When receivers aren't triggered to think about the givers’ thoughts, then receivers will evaluate gifts based on quality. Are there any benefits of thoughtful giving I can count on? If I have almost ruined your guiding principle of gift-giving, don’t worry. 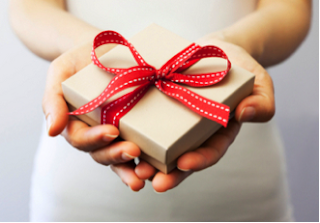 Fortunately for your holiday spirits, Zhang and Epley found evidence that there are consistent benefits of thoughtful giving - but they are for givers, not receivers. In one study, participants were assigned to pairs, with one person a giver and one a receiver. Givers saw several products and chose one for the receiver with whom they had been paired. When making their choices, they were either told to think very carefully (thoughtful condition) or not to think hard (thoughtless condition). After the gifts had been given, researchers asked both givers and receivers how connected they felt to their partners. Whether givers were thoughtful or thoughtless, receivers did not differ in the amount of connection they felt to their givers. However, thoughtful givers felt significantly more connected to their receivers than the thoughtless ones did. The researchers speculate that one way this occurs is through perspective taking, which is known to strengthen relationships. When givers are thoughtful, they might take the perspective of receivers more, increasing their own feelings of social connection. How can this research help you with your holiday gift-giving? 1. If your goal is to get someone a gift that will be appreciated, buy something you know the receiver will like, instead of a gift that will show thoughtfulness. Go ahead and be “thoughtless” - don’t be afraid to buy from wish lists or registries! Interestingly, research suggests that gift receivers appreciate gifts that they explicitly ask for more than gifts they don’t ask for (Gino & Flynn). 2. If your goal is to feel closer to someone, you should be as thoughtful as you can when buying that person a gift. Your thoughtfulness may help you engage in more perspective taking, helping you feel a stronger bond with your gift-receiver. Hopefully these tips will help you feel more stress-free when your gift-giving is thoughtless and more connected when your gift-giving is thoughtful! 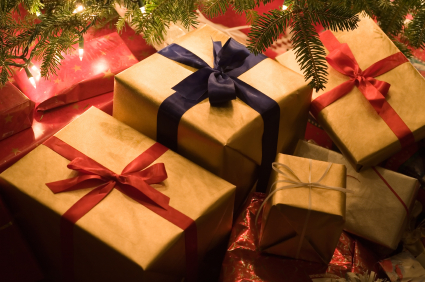 Do you do more “thoughtful” or “thoughtless” gift-giving? What are your reasons? Let us know in the comments! Great article! Makes me feel less stressed about "thoughtless" giving!! Most of the time I am too thoughtful in my gift giving.. (which can be very time consuming!) and, as you explained, it doesn't always mean I am giving something the receiver really wants. I feel best as a gift giver when I get something the person wants ("thoughtless") and then I get a very thoughtful card and write a heartfelt note. That way - they get a gift they want, and I can feel closer to them! Perfect! It sounds like you have worked out the best situation. I agree that thank you cards can help gift exchanges foster even more social connection. Thanks for reading! This is good to know, especially at this time of year- So many of us feel stress over the decision-making required of "thoughtful" gifts. It would be nice if everyone had a registry or wish list. I think a lot of people feel guilty if they simply buy from a wish list; it's nice to know we should not feel this way! I think most of us have had the experience of thinking hard about a gift choice and successfully finding the perfect gift. The recipient is thrilled, we feel great, and - according to this research- we feel closer to the recipient. I think that this is what drives us to keep trying to duplicate this experience... and is what creates the stress of once again finding the perfect gift. Yes, that’s a great point. Once we know what a successful gift exchange feels like, we probably want to seek out that same experience again. Sometimes it can get harder and harder to keep finding amazing gifts for the same person over the years, though! That’s where wish lists come in handy. Thanks for your comment! Also please consider people's feelings when you return a gift. I have a family member who routinely says thank you and perhaps a compliment when she receives my gifts, which have been carefully considered and planned. Then the next time she sees me, she hands the gift back to me without a word. It feels like continual rejection. Needless to say it has damaged our relationship and created much anger and resentment. I don't give her anything any more. Oh, I’m so sorry! I can certainly imagine it would be difficult to get gifts returned back to you all the time. I understand wanting to direct your thoughtful gift giving elsewhere. Thanks for reading! Friday Fun: My Favorites of 2012! Tabula Rasa: Do genes influence personality?